Rabindranath Tagore Works: Rabindranath Tagore was a highly talented multifaceted person. Though most of Tagore’s work was written in Bengali originally, he translated several of them to English. His most famous pieces of writing include Chocher Bali translated in 1903 to Eyesore and Nashtanir or The Broken Nest. Many people think of him only as a poet and a writer. But he was much more than a person with Ideas and ability to express them in words. He was a man of action. He not only expressed his ideas in words but actually developed and lived new ways of living. He also spread his ideas about life and living in this way for the benefit of others. In this process he created an educational set up called Shanti Niketan based on practical activities that has now flourished in to a big university. 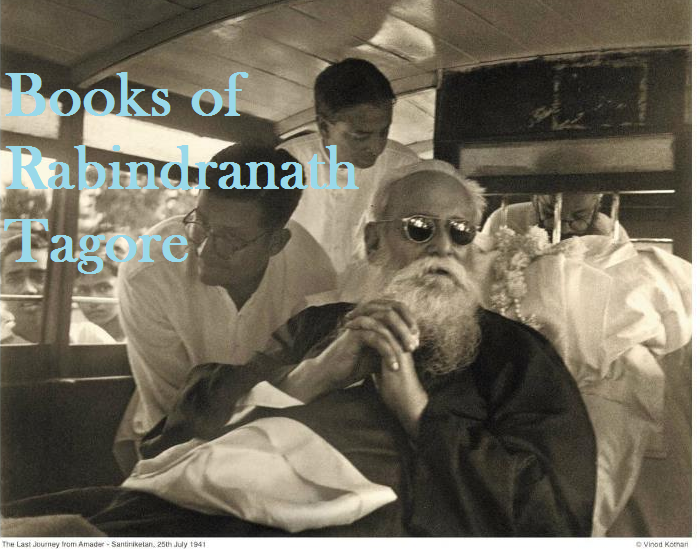 Tagore’s works are well known, but I think that Tagore is more famous for his state of being. At a time, when India was just learning how to come into its own, Tagore proved to be a larger than life force.His personal life as well as the activities of Shanti Niketan included thins like composing music and singing, staging dramas, painting, making handicrafts, and designing and wearing new kind of clothes for greater comfort. However he we go by the international awareness, Tagore is best known for collection of poems called Gitanjali, for which he received a Nobel Price in literature in 1913. He was a famous poet and writer from India who won the Nobel Prize for literature in 1913.Some of his other well known works include Jatri and Vichitra. A substantial part of Tagore’s work was in the form of stories and articles published in local publications. 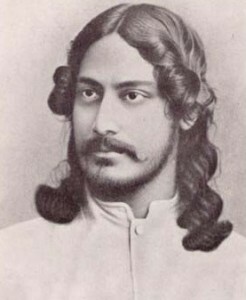 His song “Our Golden Bengal” is the national anthem of Bangladesh. Tagore’s Golpoguchchho (“Bunch of Stories”) remains among the most popular fictional works in Bengali literature. Its continuing influence on Bengali art and culture. He debuted the short-story genre in Bengali with “Bhikharini” (“The Beggar Woman”), and his Sandhya Sangit (1882) includes the famous poem “Nirjharer Swapnabhanga” (“The Rousing of the Waterfall”).